A recent review conducted by ASIC of 15 life insurers’* personal insurance claims data in 2015/16 found that approximately 90% of claims were paid in the first instance and roughly $8.2 billion in net policy payments were made. But what was actually involved in these claims from start to finish? Making a claiming on your personal insurances, at a time that is both financially and emotionally stressful, can be a daunting process. We help you better understand what may be involved by taking a look at the steps commonly associated with making a claim. 1. Information. In the case where an unfortunate event does occur, notify your financial adviser of the intent to make a claim on a personal insurance policy. Your financial adviser can then liaise with the insurer on your behalf to start the claims process. The insurer will then send out a claims kit that will include a claim form to be completed and details of things they require from you, such as supporting documentation. 2. Assessment. The actual assessment of your claim begins once you’ve completed the kit and sent it back to the insurer. The insurer’s claims team will assess your claim based on the facts you provide in the claim form and any relevant supporting documents, like medical reports*^ and workplace or vocational assessments. Your claims manager may contact you and your financial adviser if they need further information or specific assessments to assess your claim. 3. Decision. Having completed the assessment, the insurer makes a decision on your claim. The timeframes on when a decision is made will vary depending on the type of claim you’re making and how complex it is. Most claims are straightforward – in these cases, the whole process, from start to finish, may take as little as a few weeks; however, in some cases, claims may be more complex and could subsequently take months. In rare instances, claims can be declined, for example, if you didn’t disclose a pre-existing medical condition when you applied for cover or you have not triggered the relevant criteria for a payout. 4. Management. In some circumstances, claims may require ongoing management and assessment. For example, if you have an Income Protection, Key Person Income or Business Expenses/Overheads claim these policies pay a monthly benefit amount, not a one-off lump sum amount. Consequently, you’ll stay in contact with your case manager while you’re on claim as continuous periodic assessment may be required to continue the receipt of payments. You may have a waiting period on your Income Protection, depending on your selection when you applied for cover, which can range from 14 days up to 720 days. You may have a waiting period for your Total and Permanent Disability, which is the amount of time you may need to prove you have been absent from work for as a result of your disability – this can be up to six months in some cases. The benefits you receive from your insurance policy may also be taxable. Consequently, it is important to keep records of the payments you receive for tax time. It is also a good idea, as part of your record keeping, to request a statement of payments each financial year from your insurer if you have received benefits from an insurance policy in that time. Once successful with your claim, it is important to revisit why the personal insurance cover was established in the first place to ensure that the monies paid are applied as you intended. Was it to cover medical and rehabilitation expenses, reduce debt, supplement your income and/or your spouse’s, home and lifestyle modifications, and educate your kids? Understanding this and making sure these are still relevant to your circumstances, can be useful when it comes to allocating the payment to where required. As your financial adviser we can assist you in this process. 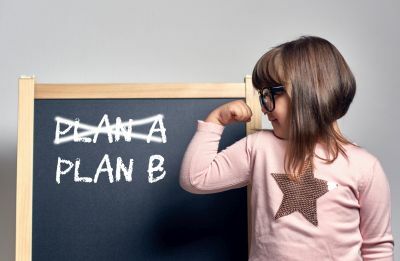 We hope that you never have to experience an unfortunate event that leads to you needing to make a claim and activating your ‘Plan B’, but we are here to help if such a circumstance does arise. Or if you are a little hazy on your personal insurance cover then revisit your Product Disclosure Statement as a reference – and, talk to us. And remember, it's important to regularly review your personal insurances as your circumstances change. *Representing over 90% of the market by insurance premiums collected. *^If you need a doctor’s report it could take up to four weeks or even longer for specialists to put your report together. Waiting on reports is one of the main reasons for delays in claims being processed.